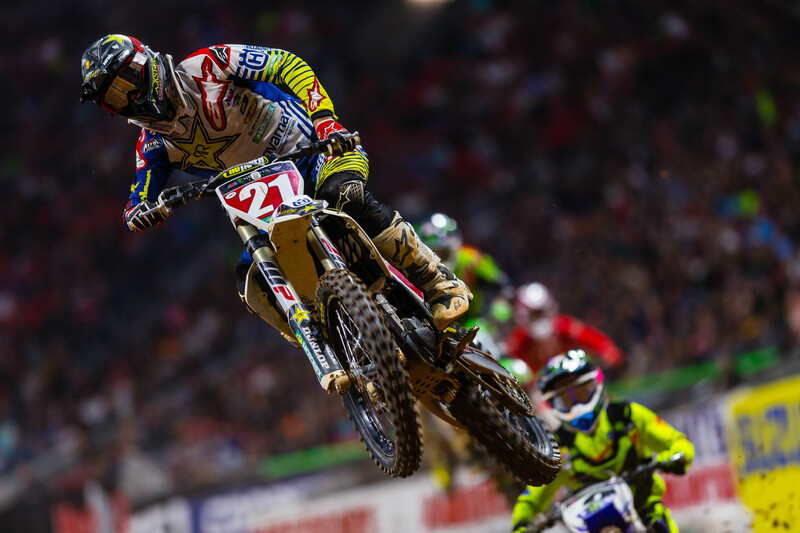 In 2018, Feld Motor Sports introduced the Triple Crown format to Monster Energy AMA Supercross. The format was a familiar one—it had been used at the Monster Energy Cup since the introduction of the race in 2011—but, as with anything new: some liked it, some hated it. The Triple Crown makes its 2019 debut at Anaheim 2 this Saturday, round three of the championship. Detroit will host the second Triple Crown event on February 23, with Houston hosting the final event on March 30. Between round three at Anaheim 2 and round nine of Atlanta last year, adjustments were made. For Atlanta and Minneapolis, two minutes were added to the first mains. Going forward, all main events are the same length, but it really doesn’t change how much riders are racing throughout the night. The 250 class will still race 30 minutes (plus a lap in each main), while the 450 class will race a minute less compared to 2018. They will race 36 minutes total (plus a lap in each main). New for 2019, riders may use up to two motorcycles throughout the event. The new rules only apply to Triple Crown events. Motorcycles may be replaced in between races, but after the start of the sighting lap of a specific race, riders may NOT replace motorcycles. Here are the official rules from the AMA regarding the use of two motorcycles. 1. Riders may use up to two motorcycles throughout the event. 2. Both motorcycles must have completed Technical Inspection and passed the sound test requirements. 3. During a race, the rider may NOT replace motorcycles after the start of the sighting lap on that specific race. 4. Motorcycles may be replaced in between races. 5. Riders or a team representative must notify a member of Race Direction if a replacement motorcycle is being used. The fastest 18 riders in timed qualifying from each class make the mains. Then each class has an LCQ late in the afternoon to determine the final four gate entries into the mains. Qualifying times determine the gate selections for the first mains. Gate picks for race two are based on the finishes in race one. Gate picks for race three are based on the finishes in race two. How do we figure out the overall? They’re based only on the overall. Series’ championship points are not paid per main event. The overall winner gets 26 points no matter how he gets the overall win. A 1-1-1 for an overall victory pays 26 points. A 2-2-2 for an overall victory pays 26 points. By the way, the supercross record book will only record the overall winner of the night with a race win. Individual race wins will not count toward a rider’s career main event win total. The tie-breaker for Triple Crown races is better finish in main event three. Should we expect a bunch of different winners? Likely. We certainly did in 2018. 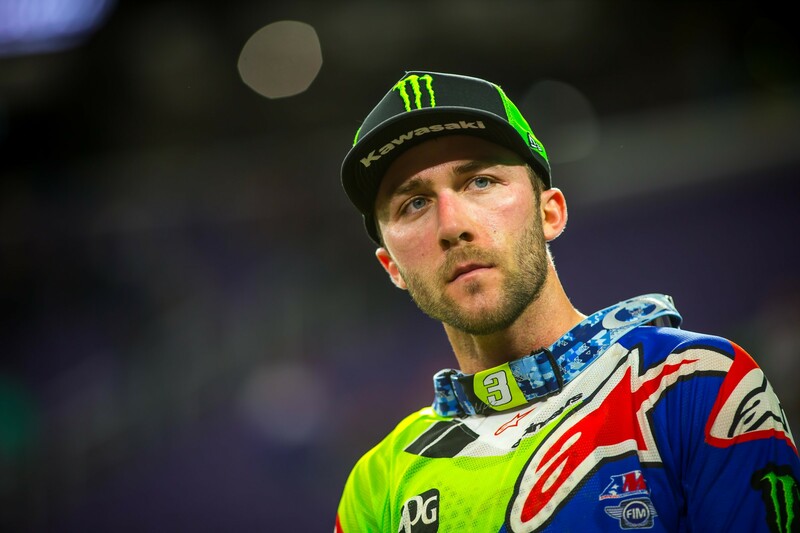 450SX saw five different winners in nine main events , while the 250SX East Region (two events) had four different winners in six races; the 250SX West Region (one event) had two different winners in three races. In 2018, the Triple Crown races saw nine different riders scores a main event podium. The East Region had seven different riders reach the podium in 18 races; the West Region had six in nine races.